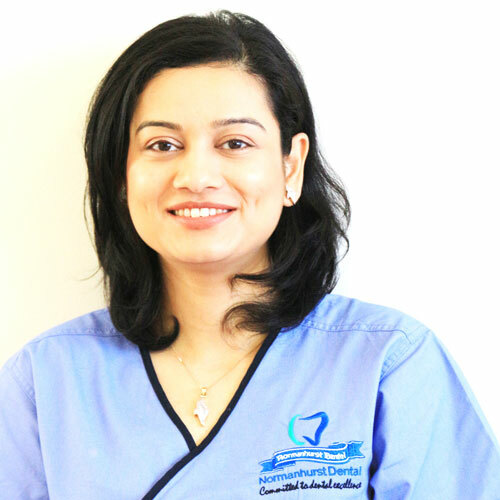 Dr. Ranjana Giri graduated in 2004 with a Bachelor of Dental Surgery. She has over ten years experience in both public and private practice. Ranjana started her dental career in Townsville, Queensland where she worked in private practice. After moving to Sydney, her interest in family dental practice led her to establish Normanhurst Dental. Ranjana is a gentle dentist especially good at treating children and adult patients who are anxious at the dentist. Her kind and reassuring manner naturally put people at ease. She has a reputation among her patients for her gentle, caring and pain-free treatment. Ranjana has a keen interest in upgrading her knowledge and skills about the latest developments in dentistry. She regularly attends many continuing dental education courses. Here latest ongoing educations include Clearpath Aligners and Implants. As a General Dental Practitioner, she practices all aspects of dentistry: her particular interests include cosmetic dentistry, clear aligners, teeth whitening, pediatric dentistry, and endodontics (root canal therapy). Ranjana loves spending time with her family, reading, meditating and catching up with friends. Dr Gaurav Bedi completed his post-graduation in Periodontics and Implantology and is currently registered in Australia as a general dental practitioner. 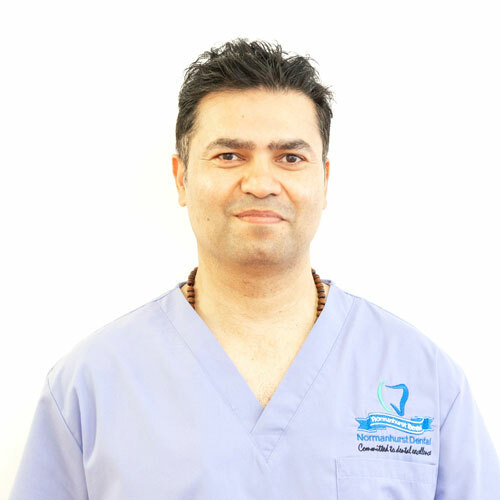 Gaurav is an integral part of the dental team at Normanhurst Dental. He brings an informative approach to the care of his patients and has a keen eye for details. His expertise is directed towards treating the gum infection and the underlying bone disease, which if left untreated could lead to eventual tooth loss. He has immense periodontal clinical knowledge and skills. His mission is to provide the best periodontal care possible to his patients, which is comfortable and affordable. He is dedicated to excellence in diagnosis and treatment planning for his patients and ensures best treatment and post-operative care with high patient satisfaction. Gaurav appreciates building relationship with his patients and their families and enjoys creating positive experiences for his patients of all ages. Dr Aditi Khamar was born and brought up in India, and graduated with First Class Honors and made the Dean’s list. After having graduated in 2010, she had a strong urge to help the less privileged population, and spent two years working in a government funded clinic in India, while sitting her license exams. Dr Aditi is Australian Dental Council certified dentist, having passed in Adelaide. In 2014, she took up residence in Sydney, Australia with a view to broaden both her professional and personal experience. Dr Khamar loves to create natural, beautiful and captivating smiles and feels proud in having an aesthetic eye with gentle and skillful hands. Her strengths are patience, attention to detail and his gentle and caring nature. With an unrivalled enthusiasm for her profession, she is driven continually to extend the boundaries of knowledge and undertake further intensive training programs to stay ahead in the field, while being an active member of the ADA. In her free time, Dr Aditi loves to read, take long walks (camera in hand), and explore the beaches of NSW. 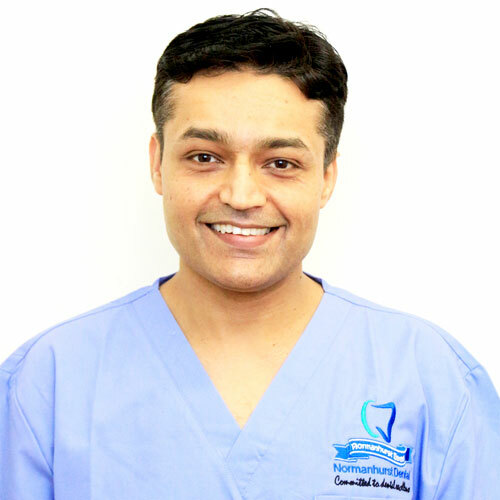 Dr Vikas Sharma’s professional career is a tribute to his long held passion for furthering his dental knowledge. 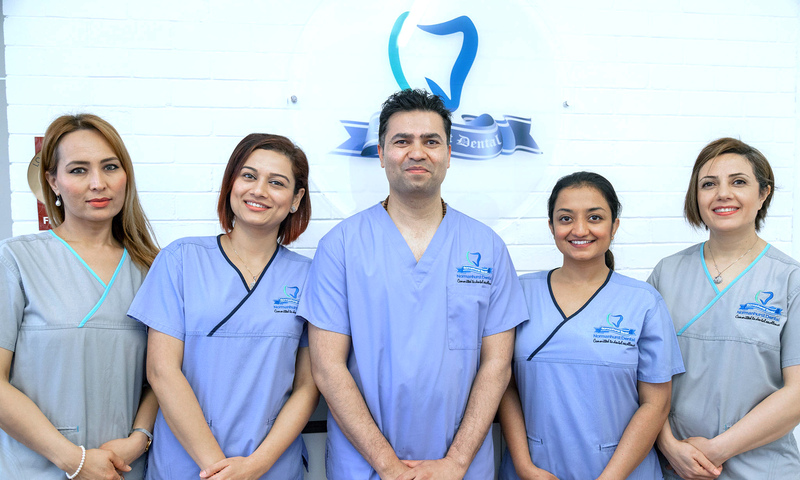 Graduating as a dentist in 1999, Dr Sharma has since undergone extensive post- graduate training in the fields of Restorative Dentistry, Endodontics (root canal therapy) and Implant Dentistry. In 2002, he achieved a Master’s degree in Conservative Dentistry and Endodontics. In 2005, he obtained his post-graduate qualification from the Membership Faculty of General Practitioners, Royal College of Surgeons, England (MFGDP,UK) and the Membership Faculty of Dental Surgeons, Royal College of Surgeons Glasgow (MFDS RCS). In addition, he earned a Fellowship from The Royal Australian College of Dental Surgeons (FRACDS) via examination, which testifies his commitment to practising dentistry to the highest standard. 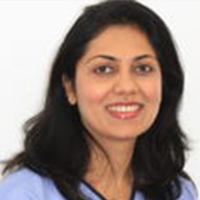 Dr Swapna Sharma is our in-house sleep dentistry specialist. She provides IV (intravenous) sedation for our patients. She is very experienced and understanding, making dental procedures comfortable for even our most nervous patients. Dr Sharma is dedicated to provide exemplary quality intravenous (IV) sedation to anxious patients. She endeavours to make the experience as pleasant as possible, and eliminate any fears, by contacting her patients a few days prior to their appointment to explain the procedure and answer all their questions. After her graduation in 2000, she underwent extensive post-graduation training in Anaesthesia internationally. She obtained her Fellowship from the Royal College of Anaesthetics of Ireland in 2009, and later completed The European Diploma in Regional Anaesthesia and Acute Pain Management. In 2015, Dr Sharma earned her Fellowship from the Australian and New Zealand College of Anaesthetists. Her special interests are dental sedation, day surgery anaesthesia, simulation and regional anaesthesia. In her personal life, Dr Sharma is passionate about good food and loves to cook for her family and friends. She also loves art and travelling the countryside to soak up fresh air. Rahe is a fully qualified Clinical Assistant relatively new to the dental industry. 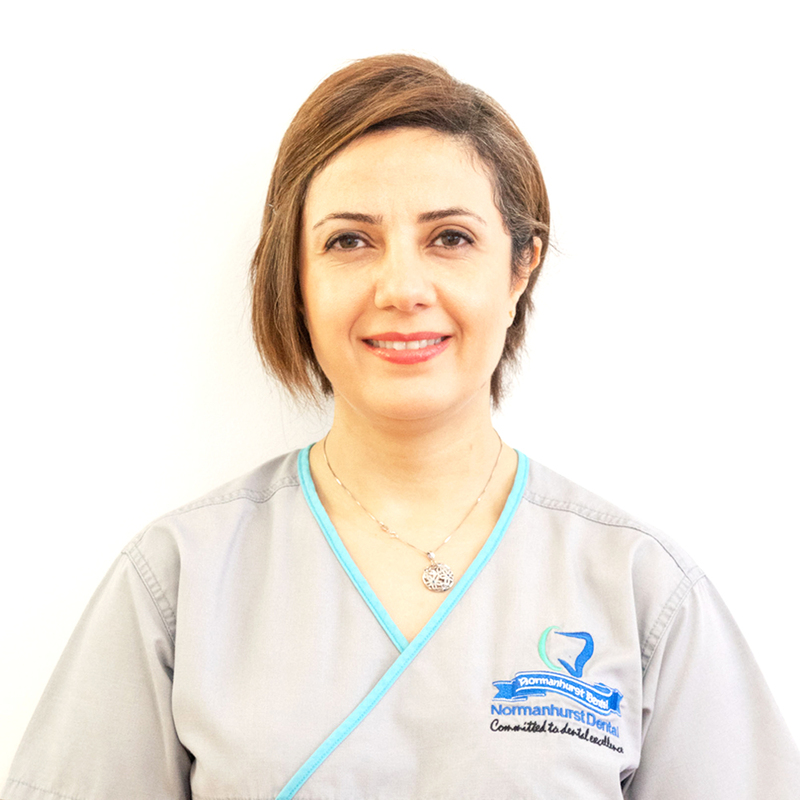 She has become one of the valuable members of Normanhurst Dental team, where she has gained extensive knowledge in both Clinical and Administrative roles within the practice. She is very passionate about furthering her knowledge and continuing her education in the dental industry. 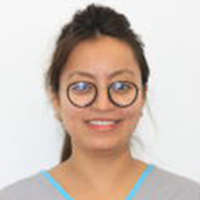 Apart from her clinical skills, Rahe is a valuable part of the management team, where her customer service and administrative skills ensure the smooth day-to-day running of Normanhurst Dental. Her enthusiastic personality shines out, helping us as both a dental assistant and a patient coordinator at the front desk. Rahe displays a warm, friendly demeanour and is gentle during dental procedures, earning consistent praise from patients and other staff. She enjoys her job immensely and loves to bring a smile on patients’ faces. 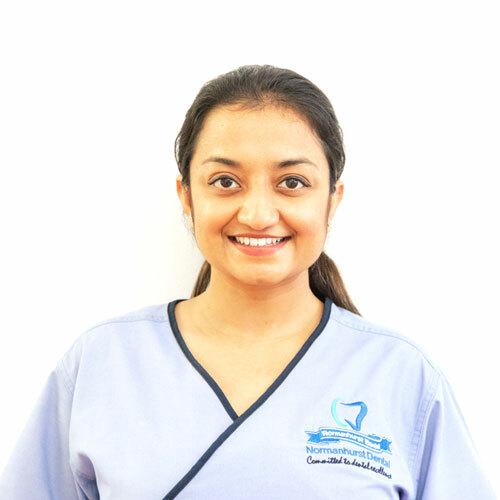 Zia is a qualified, well respected senior Clinical Assistant With more than 15years of experience and became part of the Normanhurst Dental team in 2014. She is a very happy and helpful member of the team and work at ensuring patients feel at ease throughout their treatment. She enjoys working with a friendly team embracing all roles from Clinical Assistant to Administration. She is keen to learn as much as possible from all those around her and acquire new skills for personal development. 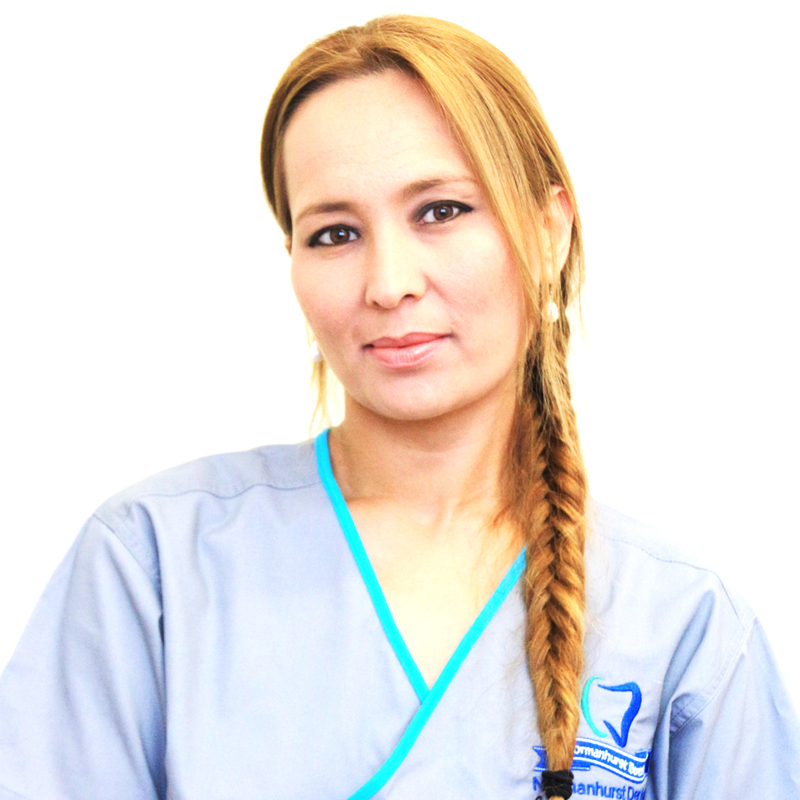 She has a bright personality and positive disposition and takes great pride in her work assisting the dentists. Rubi has joined Normanhurst Dental almost a year ago. She has assisted in all aspects of dental procedures including surgical, implants and cosmetic procedures. She is passionate and dedicated to patient care and comfort. Rubi has a bubbly personality and a great sense of humour, but also a calming demeanour during clinical work. She is very good with anxious patients and aim to make each visit as comfortable as possible for everyone.